News for Week 5 of Jan 2014; the biggest news was launching of XOX-Voopee: Communication Mobile App which empowers second mobile number without additional SIM card. Tata Comm., a leading provider of A New World of Communications™, announces its network readiness to supply Voice over LTE calling (VoLTE) to its growing global community of IPX-connected service providers. VoLTE will allow mobile network operators to offer HD voice over their LTE / 4G networks and is seen as a key factor for the success of 4G customer uptake. Customers will benefit from near-instant call setup, better sound quality and the ability to have HD Voice conversations with more users outside the mobile-only community. Lazada announced its partnership with Deezer, a leading global music streaming service that delivers an exciting music experience to more than 12 million monthly active music fans worldwide, today on www.lazada.com.my. Lazada, who is currently the number one shopping mall site within Malaysia, is pioneering e-Commerce across Southeast Asia by offering a convenient, fast and secure online shopping environment. The partnership with Deezer will feature audio-related items for sale on www.lazada.com.my for a period of 2 weeks starting from today till 16 February 2014. Renowned brands such as Bose, Jawbone, Samsung, Sony and others will be up for sale at attractive prices ranging from RM15 to RM3088. During this period, consumers who purchase any audio-related item from Lazada will enjoy 2 months complimentary access to a Premium+ account on Deezer. This will allow consumers' unlimited access to a catalogue of 30 million tracks instantly available on multiple devices such as computers, smartphones and tablets. ISS World Services, a global facilities-service provider operating in over 50 countries including Malaysia, today announced its implementation of Oracle Exadata to consolidate its IT systems within two months. The migration to the Oracle Exadata Database Machine saw ISS achieve an immediate reduction in the time required to perform vital work-order tasks. For instances, ISS has reduced the time it takes to generate new service requests from 40 minutes to seven minutes and to upgrade an existing request from six hours to 40 minutes. Furthermore, the solution has enabled the company to cut the time required to import service request schedules for global customers from between 15 and 20 hours to one hour. Seedstars World (SSW) the global startup competition for emerging markets and fast-growing startup scenes brought its 2013 round to a successful close at the Seedstars World Final Event hosted by Lift, one of the biggest European innovation and tech conferences. After travelling to 20 different cities to find the best global startups, the SSW team invited its regional winners to a final round of competition to compete for an equity investment of up to $500k. Following the semi-finals, 5 startups were selected to compete and pitch to 400 participants and the jury members at the Final event. The grand winner of the evening was Flitto from South Korea, an innovative crowdsourcing translation platform that gives customers access to all kinds of contents in their native language. Basically, what it does is it allows users to contribute to the content translation based on requests from other users. Many enterprises are looking to deploy Software-Defined Networks (SDN) by 2015 -- to increase productivity, deliver better access to real-time information and improve availability/service delivery. These plans will require support from a design and deployment perspective and illustrate enterprises' need for robust professional services to ensure always-on availability of critical data center networking assets. Brocade was recognized as delivering exceptional services and support to help customers meet these needs, in J.D. Power's extensive technology industry benchmark customer satisfaction research. Brocade announced that it has received the prestigious J.D. Power Certified Technology Service and Support (CTSS) Program award, which is valid for one year. The award enables enterprise customers to gain confidence in customer service operations before they make purchasing decisions, and Brocade scored highly in every area in achieving this certification. HP Autonomy today announced a new cloud-based eDiscovery offering that provides law firms, partners and small and midsize businesses (SMBs) with a fast, easy and cost-effective path to leverage HP Autonomy’s market-leading eDiscovery platform. Legal teams can quickly and easily upload case files and manage the complete eDiscovery process with a single platform and vendor. The new offering combines the best elements of a full-service outsourced offering and an on-premises solution, for an optimal mix of control, speed, simplicity and cost savings. HP Autonomy today announced a new version of HP IDOL that deepens integration with key components of HP’s HAVEn big data platform—HP ArcSight, HP Vertica and Apache Hadoop—and significantly expands HP IDOL’s analytics, reliability and ease of use. DDR2 SDRAM technology is the memory standard that most industrial applications have been designed around for years. I'M pushes this technology even further by offering higher capacities and wider temperature ranges than other manufacturers. The most common densities of DDR2 continue to be 512Mb and 1Gb. The larger capacities, such as 2Gb and 4Gb, are defined by JEDEC, but their availability from other manufacturers continues to be very limited. 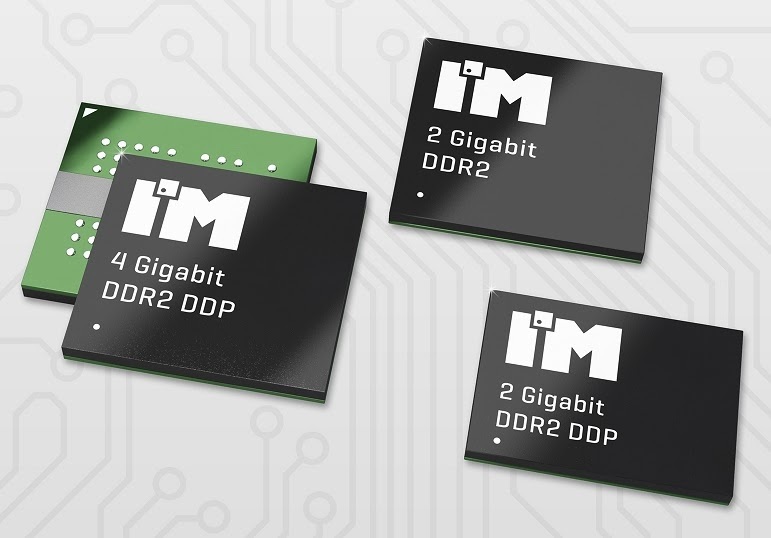 I'M Intelligent Memory focuses on the high end of DDR2 capacities with their 2Gbit monolithic, 2Gbit Dual-Die (DDP) and 4Gbit DDP components in standard or industrial temperature ranges. For automotive customers, AEC-Q100 versions are also available. Products from I'M Intelligent Memory available are: 2 Gigabit DDR2 SDRAM in x4, x8 and x16 configuration coming in FBGA60 or FBGA84 package, 2 Gigabit Dual-Die (DDP) DDR2 in x8 configuration with FBGA63 package and 4 Gigabit Dual-Die (DDP) DDR2 in x8 configuration with FBGA63 package. EMC is introducing an all-new version of the Storage Resource Management (SRM) Suite (version 3.0), as well as enhancements and updates to the ViPR Software-Defined Storage platform (version 1.1) to empower customers to adopt the 3rd Platform computing – the IT destination designed for cloud, mobility, social networking and Big Data. 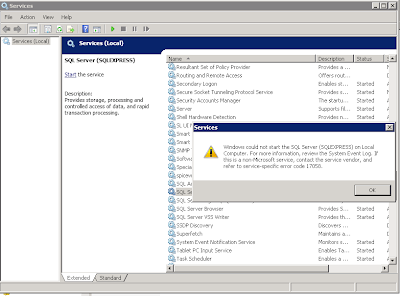 2nd Platform environment is referring to client/server. i) Improving operational and resource efficiencies of the infrastructure. ii)Accelerate deployment of new services. iii)Reducing complexity and delivery of web scale capabilities without having to replace current storage deployments alongside. Google CEO Larry Page announced that Google has decided to sell Motorola Mobility to Lenovo after the success of Moto G.
Check out the Lenovo's Thinkpad strategy. According to the report, through broad SaaS adoption such as the IBM Connections social software platform, enterprises are able to collaborate more effectively through the social business tools, improving the customer experience, and accelerating time to market.